The 2001 election for Mayor of Buffalo, New York took place on November 6, 2001. Incumbent Anthony M. Masiello, a Democrat, easily trounced his sole opponent in the primary, going on to win a third term with no serious opposition in the general election. Buffalo's 2001 mayoral election was notable for its uncharacteristic quietness, despite pressing issues such as allegations of environmental contamination in the Hickory Woods neighborhood of South Buffalo and chronic poverty and urban blight. This was speculated as being due to reticence on the part of would-be candidates to "challenge a powerful and well-liked mayor like Masiello", especially one with a campaign fund in excess of $1 million. It was also only the second time in history when the Democrats and Republicans endorsed the same candidate for mayor of Buffalo, a phenomenon made possible by New York State's electoral fusion law. Masiello's opponent in the primary was Beverly A. Gray, who had served as an at-large member of the Buffalo Common Council since 1996. Despite her endorsement by fellow Councilmember Charley Fisher, and her candidacy's survival in the face of electoral petition challenges and her own health problems, Gray was badly outspent by Masiello, and her campaign was hampered by criticism by Erie County Democratic Party chairman G. Steven Pigeon of her tenure on the Council as "divisive" and "extremist", and of her mayoral campaign as devoid of a coherent message and failing to make a real effort to reach voters outside the African-American community. The Democratic primary election took place on September 25, 2001; Masiello placed first with 20,980 votes cast, or 72.4% of the total, with Gray receiving 7,988 votes, or 27.6% of the total. The general election was held on November 6, 2001. Masiello was the only official candidate in an election that was marked by historically low voter turnout, with 37,685 votes, or 98.6% of the total, going to him. Masiello's closest challenger was neighborhood activist Judith Einach, whose independent write-in campaign garnered 523 votes, or 1.4% of the total. The Buffalo News and other local media outlets were criticized by some for their lack of coverage of Einach's campaign. 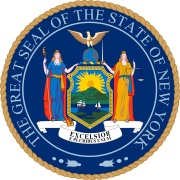 Early in the race, New York State Assemblyman Sam Hoyt and Buffalo Common Council president (and contender in the previous Democratic primary) Jim Pitts, both Democrats, were speculated as possible candidates. Both declined to run. Erie County Legislator Gregory Olma explored a run as a Democrat, but said he would not officially contest the Democratic primary unless he was cross-endorsed by the Erie County Republican Party, an endorsement that ultimately went to Masiello. Local attorney and government reform advocate Kevin Gaughan also sought the endorsement of both the Democratic and Republican parties. Gaughan's candidacy was controversial from the beginning, as he was a resident of the suburb of Hamburg until May 2001, taking advantage of an oversight in the rewriting of the city charter the previous year that eliminated the requirement for mayoral candidates to have lived in Buffalo for at least one year prior to the election. An effort by the Buffalo Common Council in response to Gaughan's candidacy to amend the charter was ultimately shelved, but Gaughan dropped out of the race in June after having lost the crucial Republican endorsement to Masiello. Buffalo Common Councilman-at-Large Charley H. Fisher initially declined to run, but in early April 2001 said that he would challenge Masiello for the Democratic primary if neither Gray nor Pitts officially entered the race by April 24, calling the prospect of Masiello running unopposed in the primary "a disservice to the City of Buffalo" and remarking that the incumbent did not "deserve a free ride". Fisher was also reported to have sought the Independence Party endorsement, which ultimately went to Masiello. Fisher dropped out of the race after Gray officially announced her candidacy on April 25. Masiello was endorsed by the Democratic, Republican, Independence, and Conservative Parties. The Liberal, Working Families, Right to Life, and Green Parties declined to endorse any candidate. ^ McCarthy, Bob (February 18, 2001). "Where Is the Mayor's Opposition?". Buffalo News. Retrieved July 31, 2013. ^ a b McCarthy, Bob (September 9, 2001). "Masiello Heavily Favored in Race Against Gray". Buffalo News. Retrieved July 31, 2013. ^ Lakamp, Patrick (August 10, 2001). "Gray's Petitions Survive Checks". Buffalo News. Retrieved July 31, 2013. ^ McCarthy, Robert J. (September 8, 2001). "Gray Says Health Won't Keep Her from Running for Mayor". Buffalo News. Retrieved July 31, 2013. ^ Fairbanks, Phil, and Brian Meyer (April 26, 2001). "Gray Not Intimidated by Showdown with Masiello". Buffalo News. Retrieved July 31, 2013. ^ "Our Campaigns - Buffalo NY Mayor - D Primary Race - Sep 25, 2001". Our Campaigns. Retrieved July 31, 2013. ^ McCarthy, Robert J. (November 8, 2001). "Erie County Voter Turnout Quite Low". Buffalo News. Retrieved July 31, 2013. ^ "Our Campaigns - Buffalo NY Mayor Race - Nov 06, 2001". Our Campaigns. Retrieved July 31, 2013. ^ Toomey Spinks, Suzanne (November 1, 2001). "Cover Einach's campaign for mayor". Buffalo News. ^ McCarthy, Robert J. (August 25, 2000). "Hoyt Defers to Masiello for Next Year's Mayoral Race". Buffalo News. Retrieved July 31, 2013. ^ McCarthy, Robert J. (April 7, 2001). "Masiello May Face Challenge from Fisher". Buffalo News. Retrieved July 31, 2013. ^ a b McCarthy, Robert J. (January 22, 2001). "Mayor Plans for Race with No Solid Foe in Sight". Buffalo News. Retrieved July 31, 2013. ^ a b McCarthy, Robert J. (June 1, 2001). "Masiello Receives Backing of GOP". Buffalo News. ^ McCarthy, Robert J. (May 11, 2001). "Gaughan May Run for City Mayor". Buffalo News. Retrieved July 31, 2013. ^ Meyer, Brian (May 30, 2001). "Residency Proposal for Mayor Shelved". Buffalo News. Retrieved July 31, 2013. ^ Esmonde, Donn (June 8, 2001). "Gaughan — A Star Kept on the Sidelines". Buffalo News. ^ McCarthy, Bob (March 25, 2001). "Political Activity Springing Into Bloom". Buffalo News. Retrieved July 31, 2013.